Long press the power button of camera till the green indicator is on. Press the picture-taking key, the red indicator flash once, a picture is taken (no picture-taking possible during video recording). Use a Micro USB data line to charge the camera. If the camera battery is low, connect it to the charger or power bank, so as to continue picture/video taking. 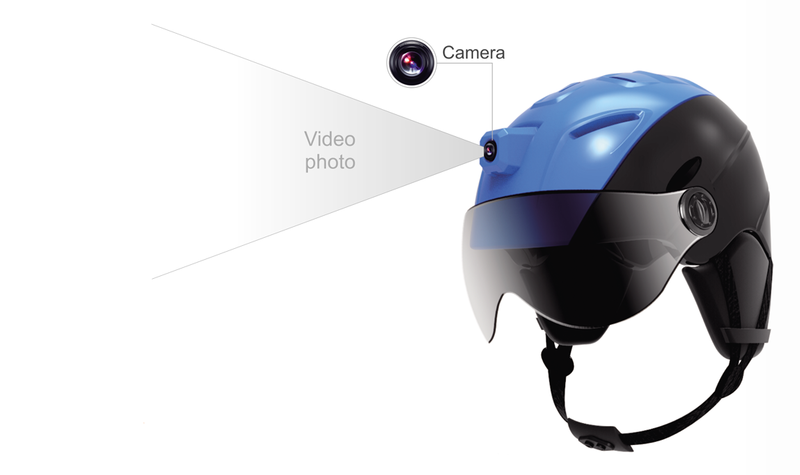 Link the helmet and PC with a data line to review and copy videos/pictures. And the helmet automatically powers off when you remove USB connection.